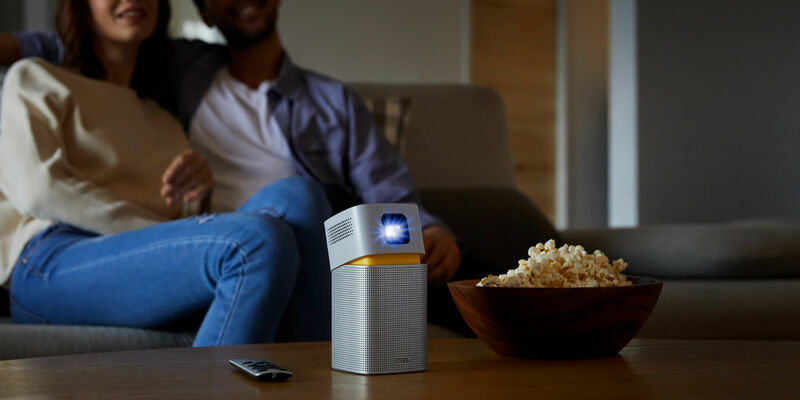 Light up your get togethers, work and play spaces, or wherever you go with BenQ GV1 ultraportable battery projector. 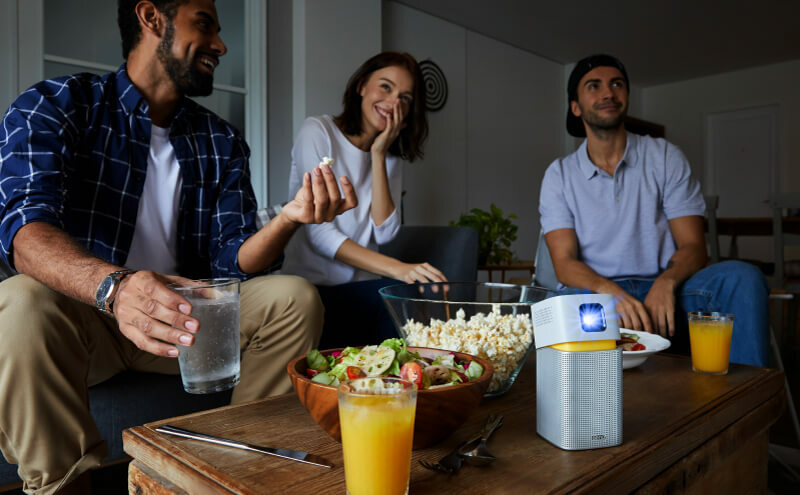 Simply designed for totally wire-free fun, GV1 instantly streams movies, videos, music and more with latest WiFi, Bluetooth, and USB-CTM connectivity. GV1 frees you from setup hassles, poor wireless connections, and cumbersome cables to just start enjoying videos, social media, music and games. 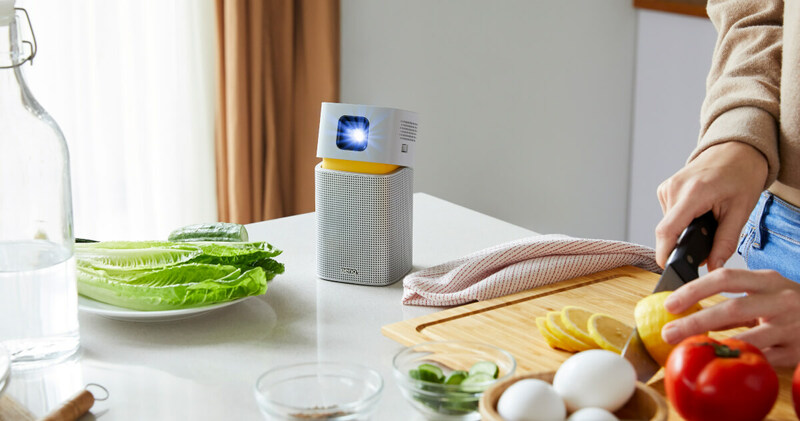 Whether you’re hanging with friends, cooking for family, or even working out, GV1 simply fits your life. A convenient tilting hinge lets GV1’s high-mounted lens produce 100” images anywhere, and its auto keystone feature keeps the picture perfectly squared. 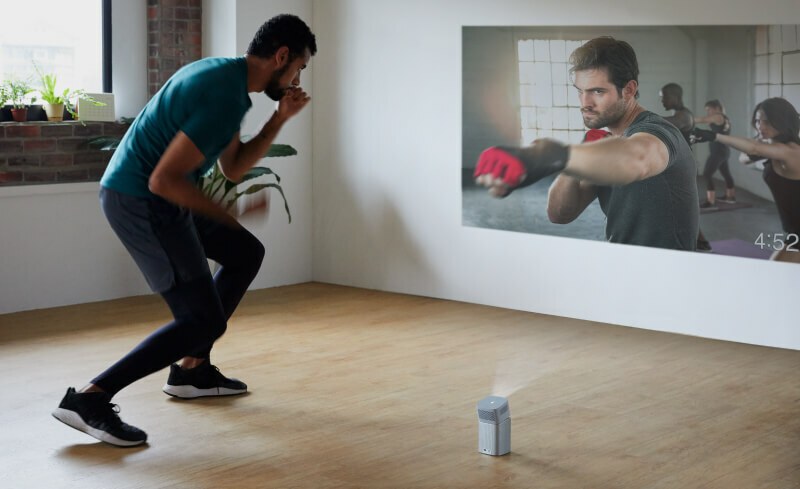 GV1 weighs only 708g(1.6 lbs) and is about the size of a coffee cup or water bottle, letting you enjoy big-screen mobile entertainment anywhere. 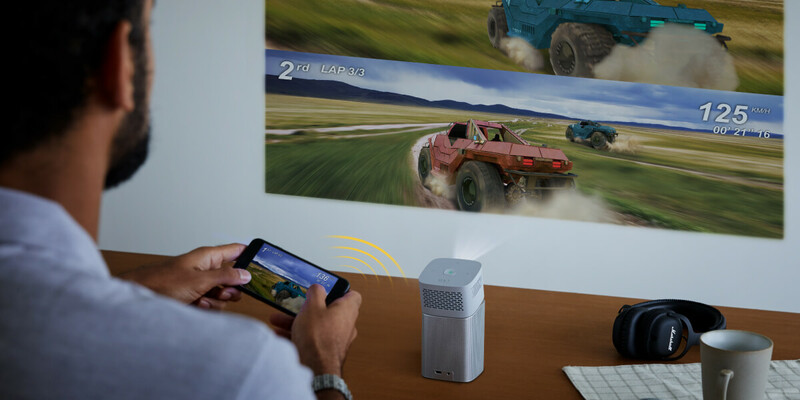 Wire-free connectivity with dual-band 2.4G/5G Wi-Fi and direct hotspot simply work without wires for your mobile wireless projection. GV1’s do-it-all USB-CTM port can stream media and charge your mobile device or even play media files from a flash drive. Robust 5-watt chambered audio turns GV1 into a portable Bluetooth speaker. GV1 comes with a rechargeable battery good for 3 hours of uninterrupted enjoyment, totally without wires. GV1 includes a convenient tilting hinge at its neck, letting you project the big picture at the perfect height to view comfortably. Its 15˚ range means that the 100” projected image can be raised up to 77cm(Max.) above the level where GV1 is placed. GV1 streams videos, games, or music via dual-band Wi-Fi and Bluetooth from your mobile, PC and laptop devices, making it truly cable-free. Even when there’s no signal, it has its own Wi-Fi hotspot to stream wirelessly from your device’s local storage. 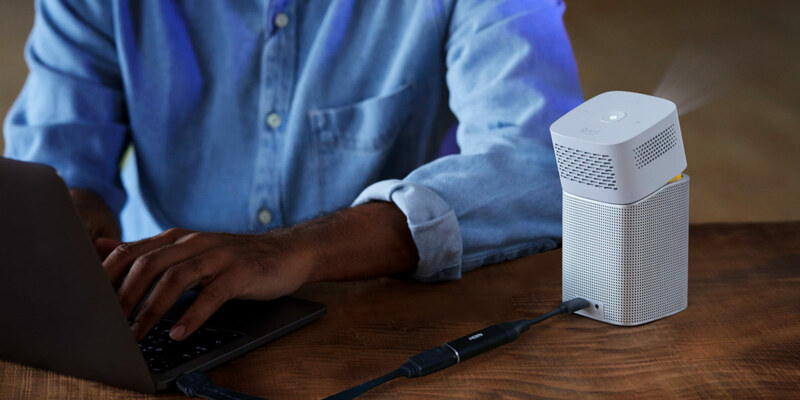 With the latest phones, tablets and laptops switching to USB-C, you can also connect to GV1’s single USB-C port. This handy port can also simultaneously charge your device or play videos and music from a USB flash drive. Using DisplayPort over USB-C, GV1 can stream videos, games and music from smart devices. GV1 supplies power* to your mobile device, which means it can charge your device while you’re enjoying your streaming media. GV1’s USB-C port is also a media reader that can play movies, videos and music directly from a USB flash drive**. *Power supplying is only available when GV1 power adapter is plugged in. ** USB Type-A to Type-C adapters can be used to increase flexibility to read any USB drive. GV1’s advanced LED projection light source lasts 30,000 hours for years of spontaneous instant-on entertainment. Its LED-powered high brightness showcases big-screen entertainment up to 100”. 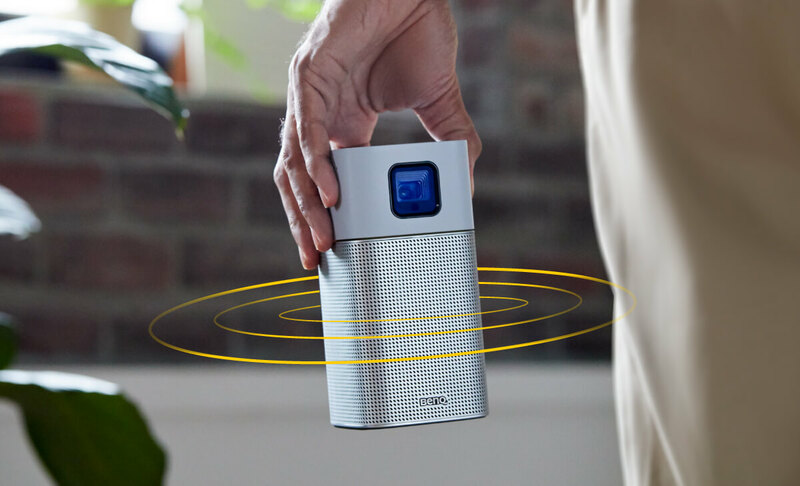 GV1 becomes a battery-operated portable Bluetooth speaker at the touch of a button, bringing crystal clear music wherever you go. Its powerful 5-watt chambered speaker fills the room, all without any wires. GV1’s 3-hour battery life gives you plenty of time to enjoy full-length feature films with friends and family, catch up on your favorite shows, tune in to the big game, or even play one yourself on the big screen. GV1 weighs only 708g(1.6lbs) and is about the same size as a venti cup of coffee. 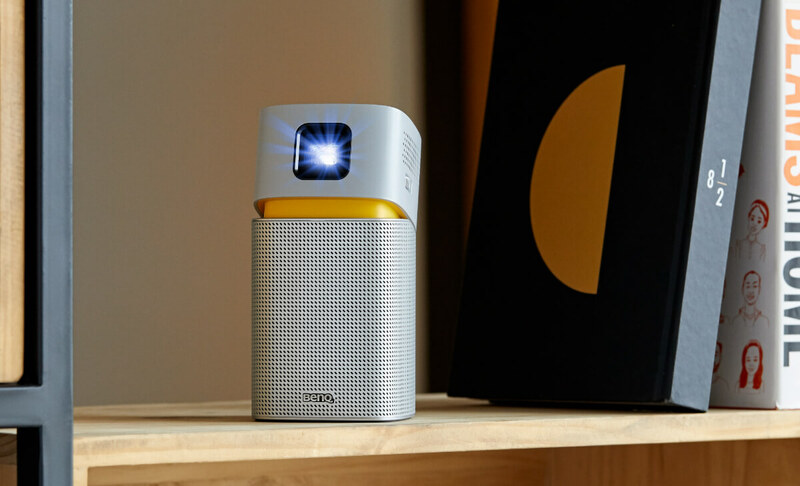 GV1 comes with USB-C cable, remote control, power cord, and a protective fitted bag designed to simply carry the projector.